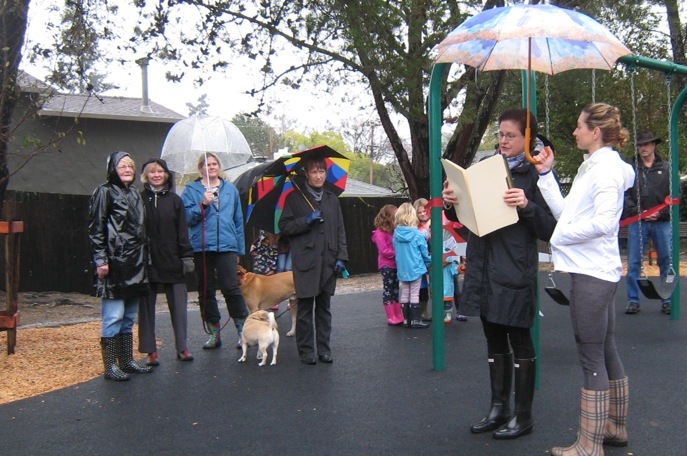 A city proclamation read by the Mayor highlights the collaboration between neighbors, the City, and LCF to revitalize Heatherwood Park. January 10, 2016 is proclaimed Youngs Family Day in recognition of the Youngs family’s leadership. The Helping Heatherwood committee recieves a $44,000 check, raised through community donations with LCF’s help as fiscal agent. 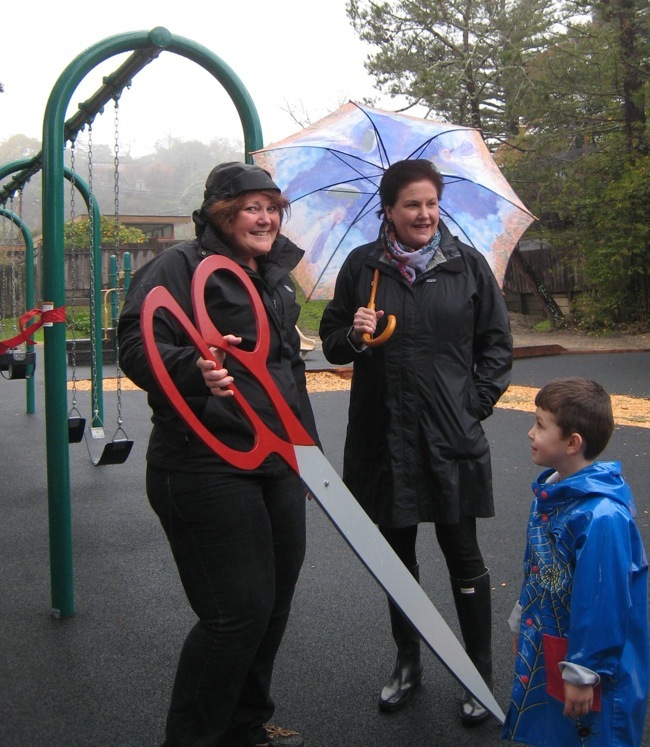 Mary Grace Houlihan and Mayor Way get ready for the ribbon cutting ceremony. 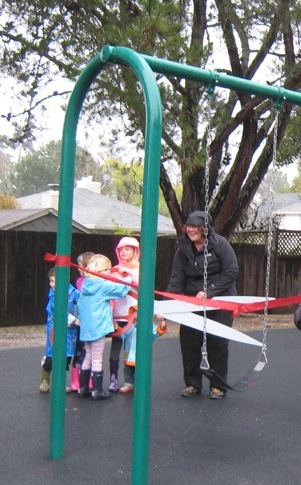 Neighborhood kids help to cut the ribbon and officially reopen the park. Sandy Blauvelt and James Buresh celebrate the new park. Acting as fiscal agent for the neighborhood organization, LCF is helping these folks to improve Heatherwood Park. 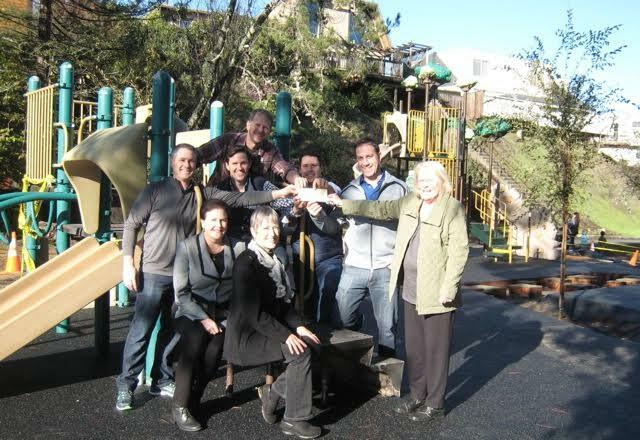 On a recent Saturday, neighbors put their backs into the plan to restore their local park. Thanks to Matt Bearson for taking these photos. LCF acts as a fiscal agent for residents to raise tax deductible funds for local projects. 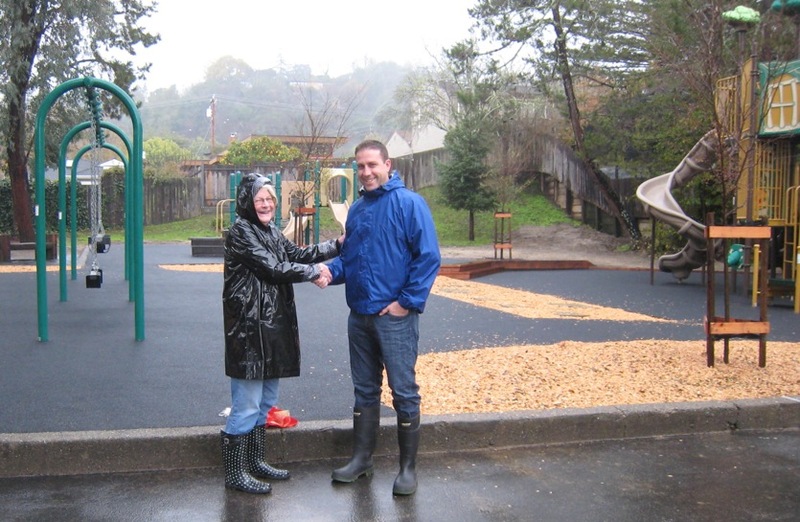 Neighbors of Heatherwood Park raised funds to make improvements to the park.